You are here: Home / General / What is The Core? Pilates is often considered one of the best disciplines to strengthen your “core”. But what exactly is the “core”? Joseph Pilates believed all movement should emanate from the “powerhouse”. The “powerhouse” he referred to is the point between the breastbone and the hip bones. Basically all the muscles that wrap the around the spine and attach your upper and lower body into one. Your “core” continues to the muscles that stabilize and move your pelvis. A common misconception about the “core” is that it is just the coveted six pack. The term “core” is simply a name used for the collection of muscles involved in creating stability and efficiency of movement. The core muscles help to support your spine and pelvis in all movement. When these muscles are weak other muscles become tight to try and stabilize the hips and back. Many people experience back ache and hip pain as a result. These symptoms are often due to incorrect muscle engagement and/or incorrect alignment of the spine and pelvis. 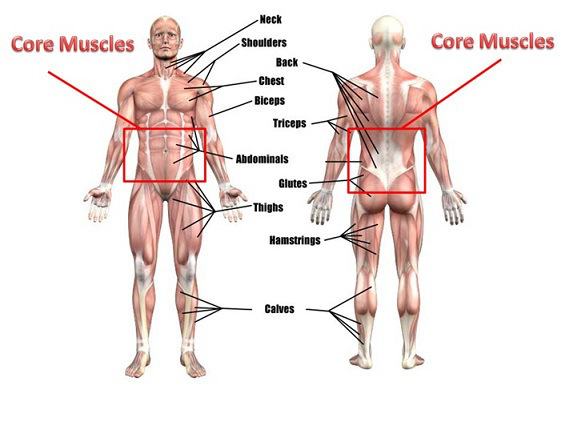 Why do the core muscles get weak? Our body is amazing and responds to our every movement and thought. Although not noticeable immediately, every action has a consequence. It’s the compound effect of activities over a period of time that either has a positive or negative effect. Compared to pre-industrial society when movement was an everyday affair, we spend a lot of time in a seated position. In the modern day we find ourselves more and more time sitting at the office and in traffic. Unfortunately moving forward has not been kind to our bodies, and we are neglecting our muscles and joints. Simply put, our core muscles are weak because we do not exercise them. Just like how we become what we eat, we are also a product of our lack of movement. As a consequence our posture has become increasingly “slumped”. Picture someone sitting in front of a computer screen. Their neck is sticking out, squinting at the monitor, shoulders are hunched forward, the spine is rounded and the hips are in a shortened position. You could call this the 21st century posture. This posture is detrimental to our joints. Our bodies are designed to move in multiple planes of movement. When we do not move in a balanced way our habits create weak, tight muscles that lead to aches and pains. The first step is to start moving and to strengthen your core muscles. This will help to release the muscles that are keeping you out of alignment and creating lots of aches and pains. You are probably wondering what is the correct alignment and what does it have to do with my core? How the core works to support neutral pelvis and correct alignment. 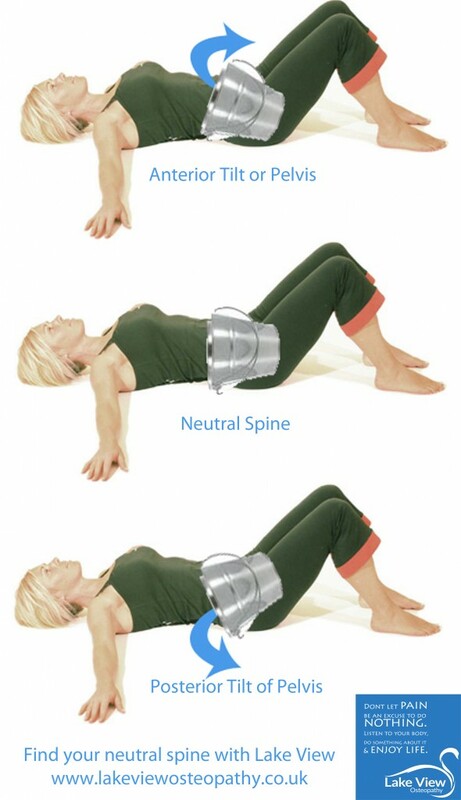 Neutral pelvis is a term you will hear a lot in Pilates. Neutral Pelvis is when your pelvis is sitting in a balanced position on top of your legs. This position will create a natural curve in the lower back that has an arched look. Every person is different so a simple way to find neutral pelvis is to look to at your hip bones and pubic bone and rock them until they are the same level. You don’t want the pubic bone to stick up too much, creating a flat back or to hide creating a deeper arch in the back. Having a neutral pelvis will naturally place the lower part of the spine into the correct alignment. From there we look for the correct curves of the spine up to the head. Props such as a pillow can be used to help with tightness in the neck and shoulders. Now we have the correct posture we can work the “core” muscles to effectively stabilize the pelvis and spine in a balanced manner. This balance is very important and it keeps the muscles from becoming tight and joints from being damaged. We want the core muscles to protect the spine and pelvis, to create and maintain correct alignment and to help generate more power and efficiency of movement. As Joseph Pilates said, everything emanates from the “Powerhouse”. Keep an eye out for the next article where we will be deep diving into the specific individual function of the muscles of the “core”.